Meanwhile lets just say that we are proud cargo_seo contributed a whooping 179 entries. From 1st March 2019, it is necessary to put on transport documents (BL/CMR/ etc.) the ICE number (Identification Commun de l’Enterprise) of the consignee as requested by Morocco Customs. Consignee must communicate it to the supplier. 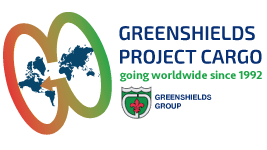 Greenshields Project Cargo will partecipate to the 11th Worldwide Conference of WCA in Sigapore from 18th to 22nd February, to guarantee our customers always an efficient and global service. Through this event, our company would consolidate its relationship and create new ones with new potential partner and agent from all over the world.